Travel rewards cards have no specific travel affiliate like an airline or hotel partner. Instead, you accrue travel rewards in the bank’s portal or on the card itself, and then redeem those points for travel however you like. Many of these cards have partnerships with multiple travel partners, making it easier to flexibly use the points you earn. So, unlike cash-back cards where you only use your rewards for statement credit, these cards allow you to utilize your reward points for great travel rewards. These cards are the beginning point of what some call travel hacking, but we just call it redeeming! The information for the Amex EveryDay® Preferred Credit Card from American Express has been collected independently by Upgraded Points. The card details on this page have not been reviewed or provided by the card issuer. The information for the American Express® Green Card has been collected independently by Upgraded Points. The card details on this page have not been reviewed or provided by the card issuer. 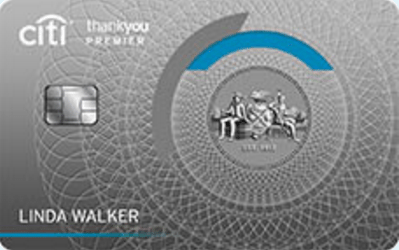 The information for the Gold Card from American Express has been collected independently by Upgraded Points. The card details on this page have not been reviewed or provided by the card issuer. 2X Points for flights booked directly with airlines. 2X points at US restaurants. The information for the Centurion® Card from American Express has been collected independently by Upgraded Points. The card details on this page have not been reviewed or provided by the card issuer. The information for the Blue from American Express® has been collected independently by Upgraded Points. The card details on this page have not been reviewed or provided by the card issuer. Terms Apply. Get 1x points for every eligible dollar you spend. How Do Travel Rewards Cards Earn Points? Each travel rewards card has a different category of bonus spending that allows it to accrue extra points for specific types of purchases. Most cards earn a base of one point per dollar (1x points) and then have a bonus category or two on top of that. Common bonus categories are dining/restaurants, airlines, hotels, supermarkets, online shopping, gas stations, department stores, and more. Cards also typically earn a sign-up bonus which also differs per card. See the table above for the current bonus! Do I Need a Certain Credit Score To Sign Up For These Cards? The credit score needed to get approved for a travel rewards credit card varies just like it does for any credit card. Should you have a higher score, there are many rewarding credit cards for those with good or excellent credit. As long as you are in good standing, you shouldn't have a problem getting approved. However, each credit card issuer is different. The stronger your credit, the better your chances! Which Banks Offer Travel Rewards Cards? Pretty much every bank out there has a travel rewards card of some sort. On Upgraded Points, we have reviews for cards from Chase, AMEX, Citi, Discover, Barclaycard, and Capital One currently in our list. In the near future, we will be adding other cards such as those from Bank of America, as well as more card reviews from the current credit card issuers. Our Chase travel rewards cards include the Chase Sapphire Preferred® Card and Ink Business Preferred℠ Credit Card. 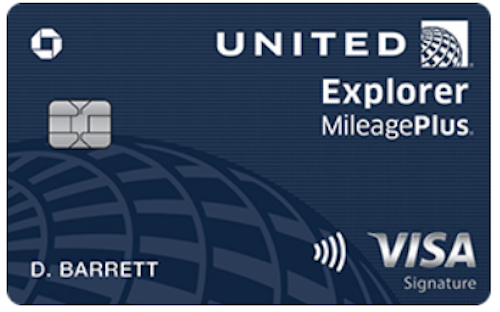 While there are other Ultimate Rewards cards, these are two of three cards directly eligible for the travel rewards. For both cards, get 25% more value when you redeem for airfare, hotels, car rentals and cruises through Chase Ultimate Rewards. For example, 50,000 points are worth $625 toward travel. Also released now is the Chase Sapphire Reserve®. For this card, you get 50% more value when you redeem! You can also do a 1:1 point transfer to leading airline and hotel loyalty programs to be used for their travel rewards, which can be much more valuable. 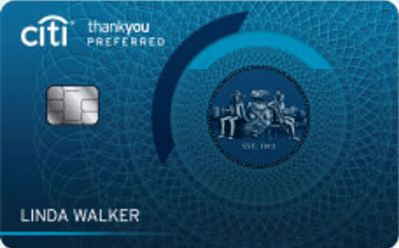 The Chase Sapphire Preferred® Card and the Ink Business Preferred℠ Credit Card both cost $95 a year, and one will not give you any additional benefits above and beyond the other. Therefore, you should be careful opening both of them since you may not earn enough points to pay for the additional annual fee. Check our Card Math sections for ideas on how to calculate this. The Chase Sapphire Reserve® costs $450 per year. You'll earn 2X points on travel and dining at restaurants & 1 point per dollar spent on all other purchases worldwide with the Chase Sapphire Preferred® Card, and 3X points on travel and dining at restaurants & 1 point per dollar spent on all other purchases worldwide for the Chase Sapphire Reserve®. This makes for an easy way to earn points if you eat out a lot since travel encompasses everything from flights to taxi rides. The Ink Business Preferred℠ Credit Card earns 3 points per $1 on the first $150,000 spent on combined purchases on travel, shipping purchases, Internet, cable and phone services, advertising purchases made with social media sites and search engines each account anniversary year. Earn 1 point per $1 on all other purchases—with no limit to the amount you can earn. Chase reward program cards typically have a great sign-up bonus, so make sure you take steps to earn it if you have applied for a card! The Platinum Card® from American Express, both business and personal, is the ultimate travel experience card: you'll get access to a huge variety of luxury travel benefits including unlimited lounge access, elite status, airline credits, and more. They recently updated the points earning structure on the card, so you can now earn 5X Membership Rewards® points on flights booked directly with airlines or with American Express Travel and 5X Membership Rewards® points on eligible hotels booked on amextravel.com. For those who spend a lot in its four different bonus categories, the American Express® Gold Card can be an excellent points earner. You get 3 points per dollar for airfare purchased directly through the airline plus 2 points per dollar for purchases at U.S. gas, restaurants, and supermarkets. In addition, you also get a yearly $100 airline fee credit and other travel benefits. If you're looking for a no annual fee card, The Amex EveryDay® Credit Card from American Express can earn quite a few points! This is because it has a bonus structure in which making over 20 transactions in a billing period earns you a 20% bonus on all of your points. On top of that, you will already earn 2x points at U.S. supermarkets. Therefore, its equivalent earnings rates are 1.2x and 2.4x, which is pretty high for this type of card. Finally, Blue from American Express® is the most basic points earner for Membership Rewards, and merely earns one point per dollar on all purchases. However, this card is great for building your credit, because it is easy to get and has no annual fee. For all these cards, the points earned go into your Membership Rewards account and can be used to transfer to travel partners for a great value. Unlike Chase Ultimate Rewards, you don't have to do any additional transferring of points between cards. Membership Rewards automatically creates one pool for all of the points under a separate account number, so even if you close one of your cards you'll still keep all your points as long as another card remains open. The sign-up bonus for American Express reward program cards differs. Some are very good, and others are moderate. Luckily, there are many cards to choose from, and if you sign up for multiple cards you can earn multiple bonuses. Both of these cards offer 2x points for stays at Starwood and Marriott hotels, and 1x points on all other purchases. These cards collect points in the Citi ThankYou Rewards program which has some great travel partners to redeem with. Citi also offers the Entertainment bonus category, which is unique to their cards and can be used on things like movies, concerts, and sporting events. The Citi Prestige® Card is a luxury travel card that competes with the likes of The Platinum Card® from American Express and the Chase Sapphire Reserve®. It offers lounge access and other amenities, as well as 3x points on air travel and hotels, 2x points at restaurants and for entertainment, and 1x points everywhere else. The "mid-level" card of the Citi ThankYou lineup is the Citi ThankYou® Premier Card. With this card, you earn 3x points for all travel, 2x points on dining and entertainment, and 1x points everywhere else. You earn 2x points for dining and entertainment and 1x points everywhere else with the Citi ThankYou® Preferred Card. There are typically no sign-up bonuses for Citi ThankYou cards, but if you see one, capitalize on it! Some cards have no specific portal or partners, and instead, accumulate rewards in their own individual accounts that can be used as a statement credit towards travel. Both cards earn consistently across all purchases: Barclaycard's offering earns at 2x points, while Discover's earns at 1.5x points. 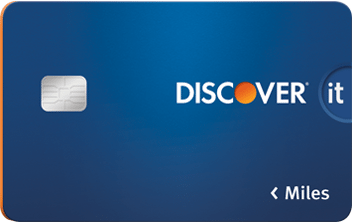 There is no annual fee on the Discover it Miles Card, which makes it an attractive first-time travel card. It also offers a 0% intro APR for the first 12 months and an awesome sign-up bonus: you will double all miles earned in the first year! This means that the equivalent earnings rate for this card in your first year is 3x on all purchases! The Barclaycard Arrival® Plus World Elite Mastercard® gives you a 5% rebate on all points redeemed, a free FICO score, and other luxury benefits. It has an annual fee, however, so you must be able to spend enough to offset that in order to make this card worth it. 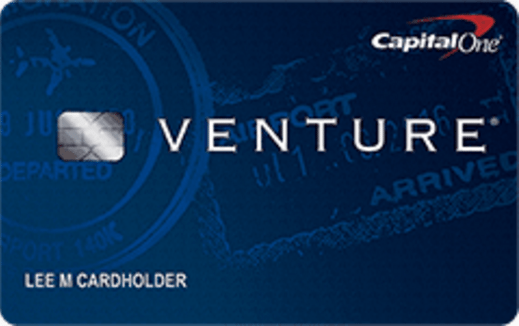 You earn 1.25x points for all purchases on the Capital One VentureOne Rewards Credit Card. Rewards are similar to cash-back where 100 points equal $1. 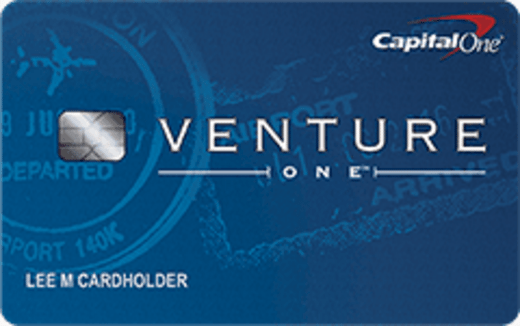 The more premium version of this card is the Capital One Venture Rewards Credit Card, which earns 2x points for all purchases. How Do I Choose The Right Rewards Credit Card? Choosing the right rewards card depends on what you are looking for. Figure out first what types of travel or spending you will be doing, and then you can easily find the right card. If you want a card that earns points, choose the card that earns the highest amount of points. 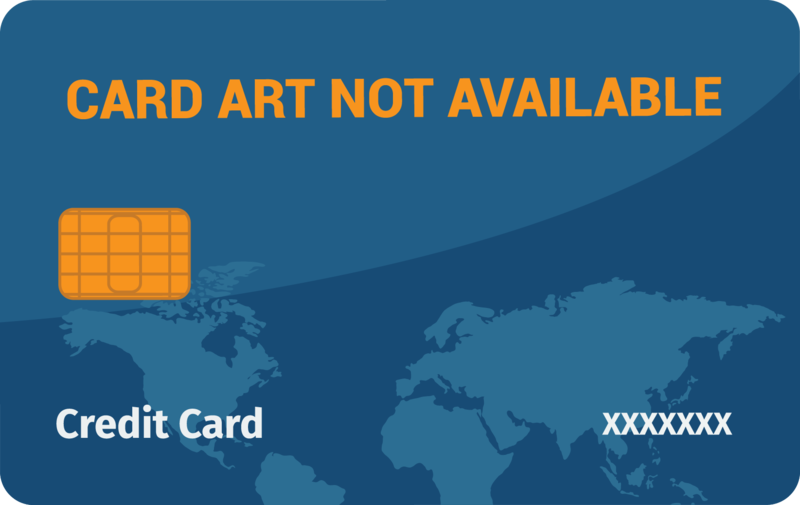 If you are traveling internationally, you might want a card with no foreign transaction fees. Perhaps you want to combine earning new points with doing a balance transfer. Likely, you are just trying to find ways to maximize your reward points which is great! See the card tables above to quickly find the cards that are right for you.